HEAD, SAMUEL, doctor, merchant, jp, office holder, and judge; b. c. 1773 in Halifax, son of Michael Head; m. twice; he and his first wife had one child; m. secondly 2 Jan. 1817 Sophia Augusta Eagleson, daughter of the Reverend John Eagleson*, in Liverpool, N.S., and they had probably four children; d. 16 Nov. 1837 in Halifax. The son of a surgeon, Samuel Head received his own medical training in England and in 1803 became a member of the Royal College of Surgeons of London. He started a practice in surgery and medicine in Halifax about 1804 and ran a pharmacy which had been established by his father around 1790. Because of the relatively large number of doctors in Halifax, it was difficult to set up a medical practice there. Head’s pharmacy was thus a key element in his career and he operated it until he died. Before he had taken it over, the pharmacy had been for some time the only one in town, and it remained an important source in the colony for medicine, medical supplies and equipment, and such items as herbs, perfumes, and dyes. This trade was particularly lucrative during the war with France. After 1812, when war broke out with the United States, there was an increased demand for medical supplies aboard vessels as well as at the naval hospital in Halifax and the prisoner of war hospital on Melville Island. By 1814 Head felt sufficiently secure financially to open a private 40–50 bed hospital on Water Street for travellers and sick and injured seamen. The cost of renovating the building proved to be high and Head turned to the House of Assembly for a grant. The application was unsuccessful, partly because the government had no interest in establishing marine hospitals such as existed in Great Britain and the United States. Furthermore, the government was convinced that public health care was fully provided by the asylum for the poor. The hospital never met Head’s ambitions and, though it seems to have had enough patients to remain open until his death, played no apparent role in the development of medical practice in the town. Head’s interest in providing better medical facilities in Halifax extended to a concern about the competence of medical practitioners. Over the years a number of people in the town claimed to have had medical training. In 1819 Head, along with other British-trained physicians, called for the licensing of doctors in order to eliminate “medical quacks.” Since this campaign threatened to affect those with unorthodox medical views, some politicians saw the doctors’ proposal as self-serving, and it was not until 1828 that the legislature agreed to establish a simple method of registration for doctors. Head’s concern for the quality of medical treatment and his attempts to establish a hospital reflected his belief in the importance of public duty. Caring about the condition of the poor, he chaired the committee of charity of the Charitable Irish Society from 1819 to 1834. As well, he was a founder in 1820 of the Halifax Poor Man’s Friend Society, and he remained active in this organization until it was disbanded in 1827. His sense of duty found yet another outlet after his appointment as a justice of the peace in 1810. Public awareness of health issues began to increase in the 1820s, especially after a serious epidemic of typhus and smallpox in 1827. Responsibility for providing health care to the less fortunate lay with the commissioners of the poor, but during the epidemic they had seen their prime duty to be towards the inmates of the asylum for the poor. Head and other justices attempted to have the magistrates assume responsibility for dealing with any future epidemic. These efforts were successful to the point that on the appearance of smallpox in 1831 the magistrates ordered a vaccination of children of the poor. When the disease continued to spread, the magistrates, with the government’s support, undertook to open a lazaret on Melville Island, which was operated by Head, John Stirling, and Matthias Francis Hoffmann*. However, such activities did not deal with the broader question of furnishing medical aid to the poor. This issue was raised by a group of doctors, aided by the grand jury of Halifax County, who wished to make the hospital in the asylum for the poor accessible not only to the indigent but also to the working poor, thereby extending the potential clientele of the doctors. To this end they urged the magistrates to break the hold of the commissioners of the poor over the hospital. Although professing sympathy with the aims of the agitators, the magistrates refused to confront the commissioners on the issue. In this instance, Head preferred to remain silent rather than engage in public criticism of fellow officials and the doctor of the asylum, William Bruce Almon. In 1832 the agitation over the asylum hospital was only a small part of the concern over health-related issues as the public authorities, led by Lieutenant Governor Sir Peregrine Maitland*, prepared to cope with a possible cholera epidemic. One new piece of provincial legislation in 1832 established a central board of health, which was to deal with an actual outbreak of disease, and another established local bodies of health wardens which were charged to enforce measures designed to prevent an epidemic. Head’s most immediate involvement in the campaign to deal with a possible outbreak of cholera was as a health warden for St John’s Ward in Halifax. Nova Scotia escaped without an epidemic of cholera in 1832, but the magistrates nevertheless became the objects of popular wrath because it was their duty to raise taxes to finance sanitation projects. Indeed, criticism of local policies generally extended to them regardless of whether or not they were to blame. This tendency was especially evident during the cholera epidemic which did come in 1834. In that year Lieutenant Governor Sir Colin Campbell forced local health boards to make all the decisions concerning the epidemic. 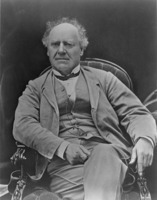 Head was fully occupied by his duties as a health warden, but during the fall he had to bear the attacks on the magistrates which culminated in letters published in the Novascotian, or Colonial Herald by Joseph Howe*. These attacks were partly the result of the fear and frustration created by the epidemic. In another, more basic, sense the epidemic merely crystallized a resentment against the magistrates which had been developing for some years. Head was not prepared to compromise with his critics. He had taken his duties seriously, his record of attendance in the sessions was good, and his dedication had been recognized in 1831 by his appointment to the Inferior Court of Common Pleas. Nor was he prepared to accept any public criticism of other magistrates. In fact, he shared the view that, since the magistrates were appointed by the executive, they were responsible only to it and should be shielded from unwarranted attacks. Head was thus one of the magistrates who urged the government to prosecute Howe for criminal libel. He received a shock when Howe was unexpectedly acquitted and perhaps a worse one when a committee appointed by the provincial government reported that the magistrates had not carried out their duties responsibly. 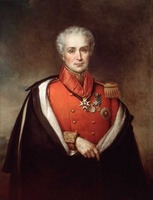 Unlike some of his fellow magistrates who withdrew from public affairs after these attacks, Head continued to serve and in 1835 was appointed to the central board of health. In 1837 Head died of typhus fever. His widow soon discovered that the estate was in poor condition. Although his debts could have been cleared by the sale of some large tracts of land, because Head had died intestate it was not until 1841 that the administrators of the estate were able to settle the accounts. PANS, RG 1, 214 1/2 (transcripts); RG 25, C, 5; RG 34-312, P, 10. Royal College of Surgeons of England (London), Membership records, 1803–26. N.S., House of Assembly, Journal and proc., 1814–35. Acadian Recorder, 1804–37, esp. 18 Jan. 1817, 18 Nov. 1837. Nova-Scotia Royal Gazette, 1804–37. J. M. Beck, Joseph Howe (2v., Kingston, Ont., and Montreal, 1982), 1. Geoffrey Bilson, A darkened house: cholera in nineteenth-century Canada (Toronto, 1980). G. E. Hart, “The Halifax Poor Man’s Friend Society, 1820–27; an early social experiment,” CHR, 34 (1953): 109–23. K. G. Pryke, “HEAD, SAMUEL,” in Dictionary of Canadian Biography, vol. 7, University of Toronto/Université Laval, 2003–, accessed April 24, 2019, http://www.biographi.ca/en/bio/head_samuel_7E.html.